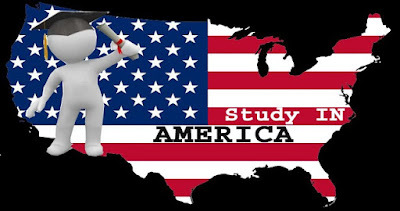 The USA offers students a wealth of exciting educational opportunities. With so many institutions to choose from, it's small wonder that hundreds of thousands of young people apply every year for a student visa. If you are hoping to avail yourself of the best education America can provide, you will need to know how to apply USA student visa in 2016. Here is some useful advice to make the process as smooth and hassle-free as possible. There are two types of USA student visa, so it is important to apply for the correct type. The majority of students will require an F1 visa, which is suitable for foreign students who intend to attend a university, college or any other academic institution including conservatories and language training programs. An M1 visa is required if you are studying at a vocational or other recognized non-academic training institution. If you are only visiting the USA as a student for a short period, you could be eligible for a visitor (B) visa; however this is only appropriate if the course does not award credits towards an academic certificate or degree qualification. Students are not permitted to study in the United States under a visitor visa or under the Visa Waiver Program. The first step of applying for a student visa is to be accepted on a course at a SEVP approved school. Upon being accepted, you will be asked to pay a fee to be enrolled in SEVIS, the Student and Exchanged Visitor Information System. You will also be issued with a Form I-20, and you must show this to the consular official when you go to the required visa interview. Applying for your student visa is done quickly and easily via an online application form. This form is called the Non immigrant Visa Application (or Form DS-160) and as part of the process you will be required to upload a photograph of yourself which meets the essential requirements outlined on the website. You will also need to print out a copy of the confirmation page in order to take it with you to your visa interview. The next stage of applying for your student visa is to arrange an interview slot, usually at the US Embassy or Consulate in your home country. Although it is possible to arrange your interview at any US consulate or Embassy in the world, it is important to note that usually in order to be successful your interview should take place in your country of permanent residence. Often you will be expected to pay your interview fee before attending your interview. Students of some nationalities are also expected to pay a fee in order to issue the visa. You will be required to take a number of essential items to your interview including your passport which must show validity until at least 6 months after the date of your return to your home country, the printed DS 160 confirmation page, the receipt of payment of your interview fee if applicable, a printed photo and the I-20 form, signed by both yourself and the school which you intend to attend. You may also need to bring other relevant academic documentation such as diplomas or certificates, evidence that you intend to return home at the end of your course and also evidence to show you can support yourself financially. At your interview you will be asked questions to determine that you meet the requirements to be issued with a visa, including meeting US legal requirements for admission. You will also have fingerprint scans taken. Finally, your visa will be processed, however depending on the circumstances; it may require an extra administrative period in which case your passport and visa will be returned to you at a later date.